Q: HOW LONG ARE THE SUMMER PROGRAMS? 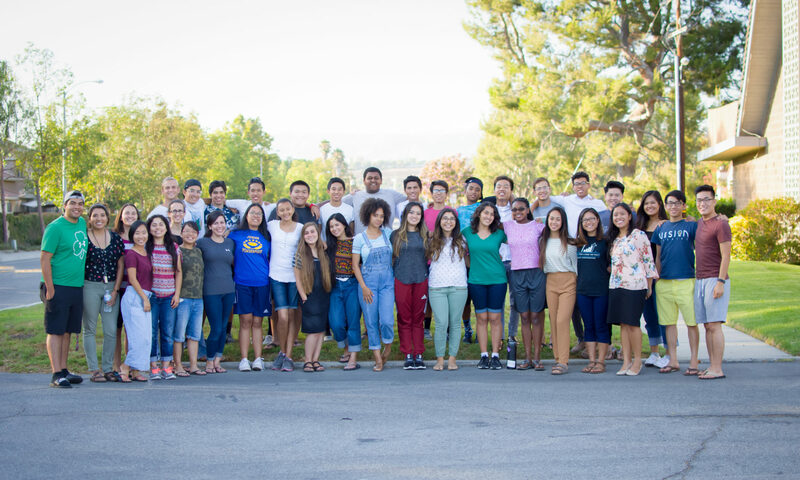 A: Southern California Conference Youth Rush program is a ten-week summer program. It usually begins in early June and ends in mid-August. Our program dates this year are: June 9 – August 17, 2019. Q: WHAT IS THE WEEKLY SCHEDULE LIKE? A: We work Sunday-Thursday in afternoon and evening. Friday & Sabbath are days the program stays together to take care of personal needs, enjoy fun group activities and spend time worshipping in local churches. Q: WILL WE TAKE TIME OFF? A: Yes. There is a “home leave” weekend in the middle of the summer. This year the “home leave” weekend is July 12-14. There is, also, a spiritual retreat at the end of the summer where all the students from different programs get together. Q: I ATTEND A NON-SDA SCHOOL. CAN I STILL RECEIVE THE EARNINGS FROM MY SUMMER OF CANVASSING? A: Yes, you will still receive your full earnings, even if you decide to attend a non-SDA school. However, certain SDA schools provide a matching scholarship amount in addition to your canvassing earnings. Q: CAN I REQUEST A CERTAIN LOCATION, OR REQUEST TO BE WITH MY FRIENDS? Q: WHAT DOCUMENTS WILL I NEED TO BRING TO THE PROGRAM IN ORDER TO VERIFY MY ELIGIBILITY FOR EMPLOYMENT IN THE UNITED STATES? A: The federal I-9 employment authorization form explains what documents are required. Q: WHAT IF SCHOOL ENDS AFTER JUNE 9 OR STARTS BEFORE AUGUST 17? A: That’s no problem. We would work with your school schedule. We would just need to know the dates you would be able to participate pre-hire. Keep in mind, we give priority to students who can do as close to the full program as possible. Q: DO I HAVE TO PAY ANYTHING UP FRONT? A: Once you have applied, gone through the interview process, and been offered a job, there is a $120 entrance fee. These funds are used to help in a small way with program’s expenses. Q: HOW WILL I BE PAID? A: You will be paid, by check, at least twice per month. Q: How much commission will I earn? A: Commission is 35%. At the end of the program, students who complete their pre-hire time commitment will receive an additional 15% retroactive commission bonus, which will equal 50%. Q: HOW DO I GET A MATCHING SCHOLARSHIP? A: Talk to your school and see what they need in order to match your earnings. Go to the Scholarships section and find out how much the school of your choice is willing to match what you earn. We provide a verified summary of earnings that you can give to your school’s financial office. This summary is usually sent via email in the month of September following the summer you serve. Q: WHERE DO WE WORK? A: We work in a variety of cities within the Southern California Conference territory, which covers from Santa Barbara to Pomona and San Pedro to Lancaster. A: Any male or female who is at least 16 years of age or older, who has a love for Jesus, and is willing to make a ten-week commitment to work hard and serve Jesus. If you have questions about your eligibility to work call 818-546-8435.